I seriously cannot believe Christmas is less than a month away. 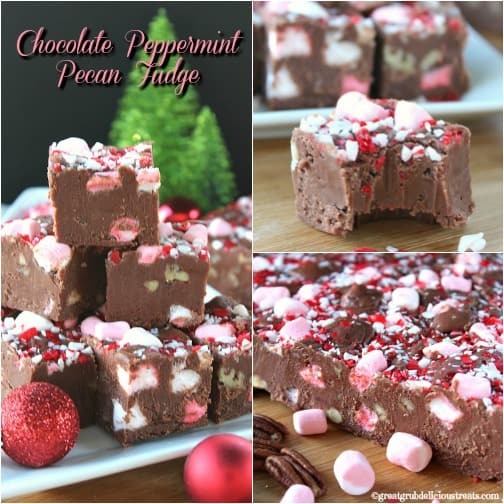 So today I’m sharing this delicious chocolate peppermint pecan fudge. 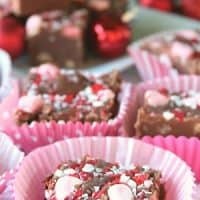 This is the perfect fudge recipe to add to the holiday dessert table to be shared with family and friends. Plus it looks so festive too! Look at this big ol’ slab of fudge below. Who doesn’t love chocolaty fudge? 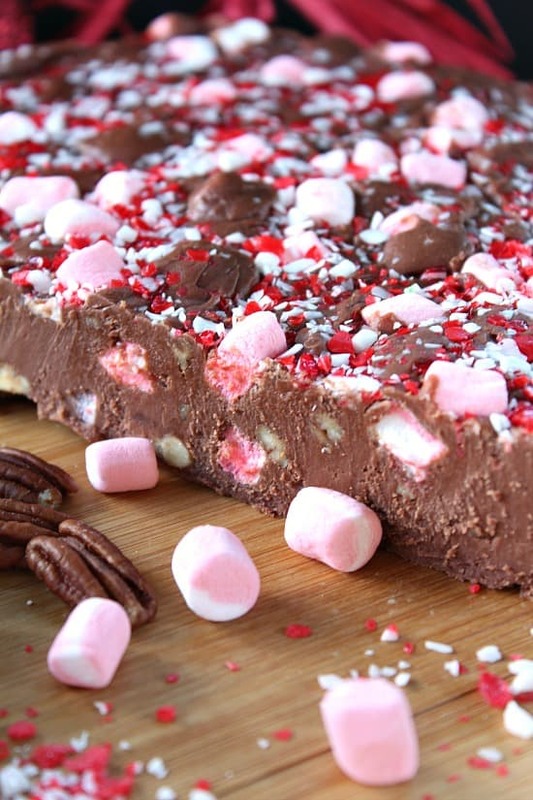 Especially with some peppermint flavored marshmallows, pecans and peppermint sprinkles added, yum! My daughter needed a dessert dish to take with her to the Thanksgiving dinner she was invited to. What better way to grab a dessert than to come to Mom’s house and pick up something delicious? Even though this is more in line for Christmas, everyone enjoyed this rich, delicious chocolate peppermint pecan fudge. This fudge is definitely rich, creamy, chocolaty and loaded with sweetness. Look at all this candy crunch. It’s so good! 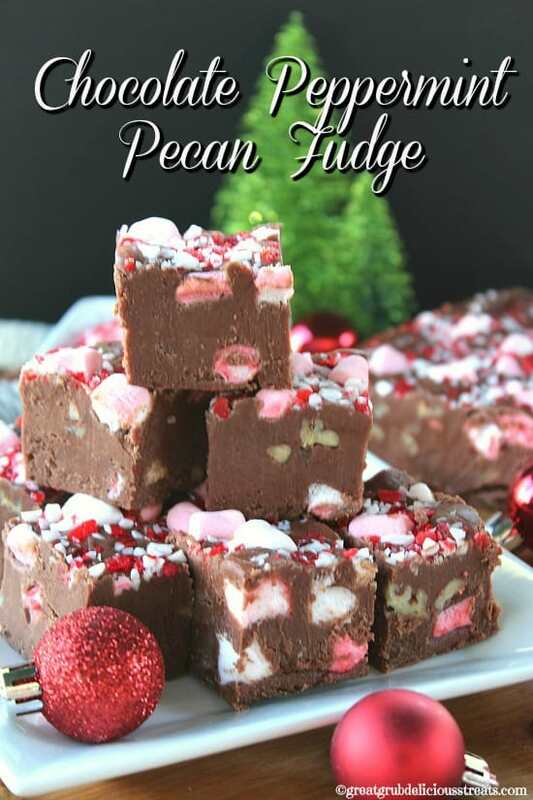 Are you ready to make your own delicious chocolate peppermint pecan fudge? Gather all your ingredients together. Put your chocolate chips, marshmallows, vanilla and butter in a large bowl. In a medium saucepan, cook sugar and evaporated milk over low flame until it boils, making sure to stir constantly. Then cook for 8 or 9 minutes stirring constantly. Once your sugar/milk mixture is ready, pour over the chocolate chip mixture and stir. Next, add your chopped pecans, stir again and pour into your prepared baking dish. 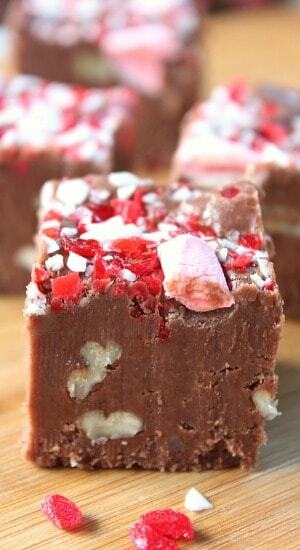 Let the fudge cool for a few minutes, 5 is good, then top with the extra marshmallows and the peppermint sprinkles. Gently pat into the top of the fudge and let sit overnight until set. Then enjoy! 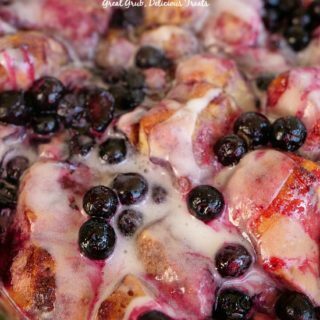 What are some of your favorite holiday dessert recipes that you traditionally make for Christmas? Fudge is one of ours along with my delicious Christmas sugar cookies. I love holiday traditions, especially when it involves food. 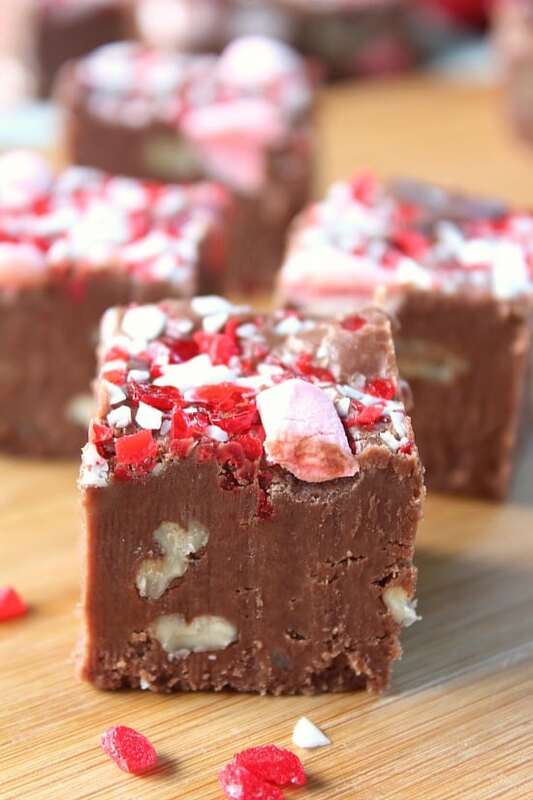 This chocolate peppermint pecan fudge recipe is adapted from my chocolate walnut fudge recipe. In a large bowl, add chocolate chips, marshmallows, vanilla and butter. Set aside. 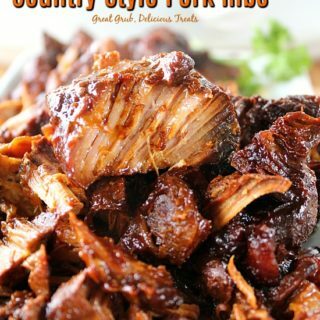 In a medium pan, stir sugar and evaporated milk together over low heat until boiling, stirring constantly. Once boiling, cook for approximately 8 or 9 minutes, stirring constantly. Next, pour mixture over chocolate chips, marshmallows, butter and vanilla. Stir until well incorporated. 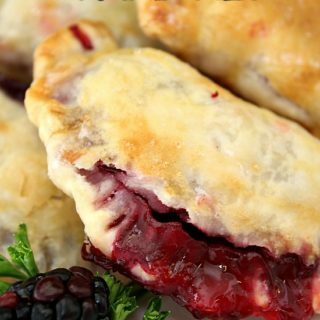 Pour into a 9 x 13 baking dish, lined with parchment paper or foil. 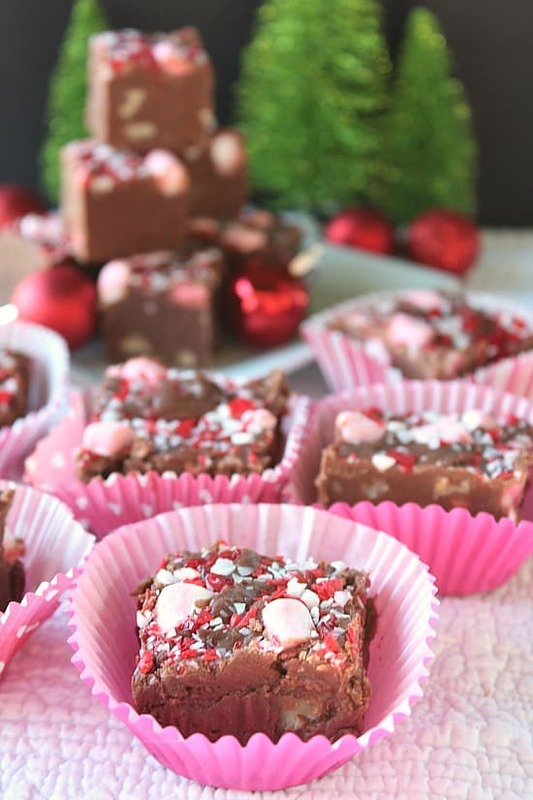 Let cool for 4-5 minutes then top with 1 cup mini peppermint marshmallows and peppermint sprinkles. Gently press into fudge. Let cool overnight. Make sure to cover with foil after it cools a bit. 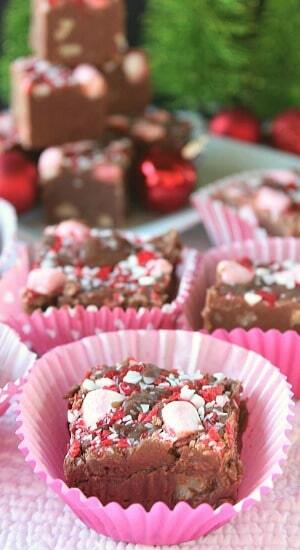 Once fudge has cooled, cut into 1" squares. To store, place into a sealed container with wax paper in between each layer. 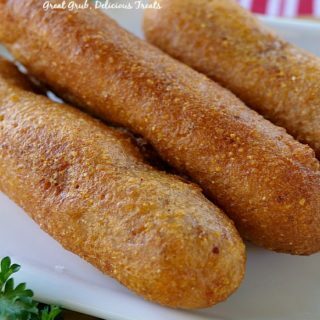 Copyright © Great Grub, Delicious Treats. All content and images are copyright protected. Do not use any images without prior permission. 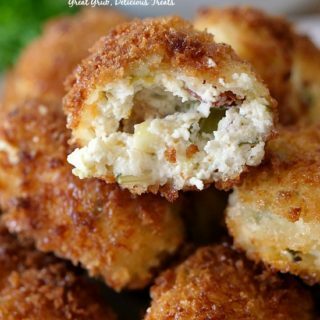 If wanting to republish this recipe, make sure to re-write the recipe in your own words. 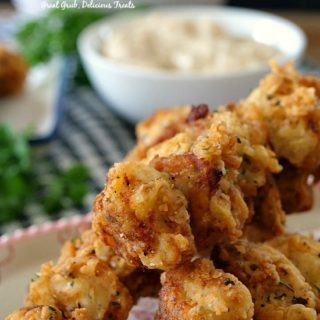 Also, make sure to link back to this post for the original recipe.